I was all set to resurrect last year’s minimalist white and gold decorations in my egg, but when I took them out and plugged them in none of the lights were working properly, and it all looked a bit sad. Elegantly understated only works when it – well, works. So I ventured out in search of replacements and, without quite knowing what I was doing, found myself buying a real tree. 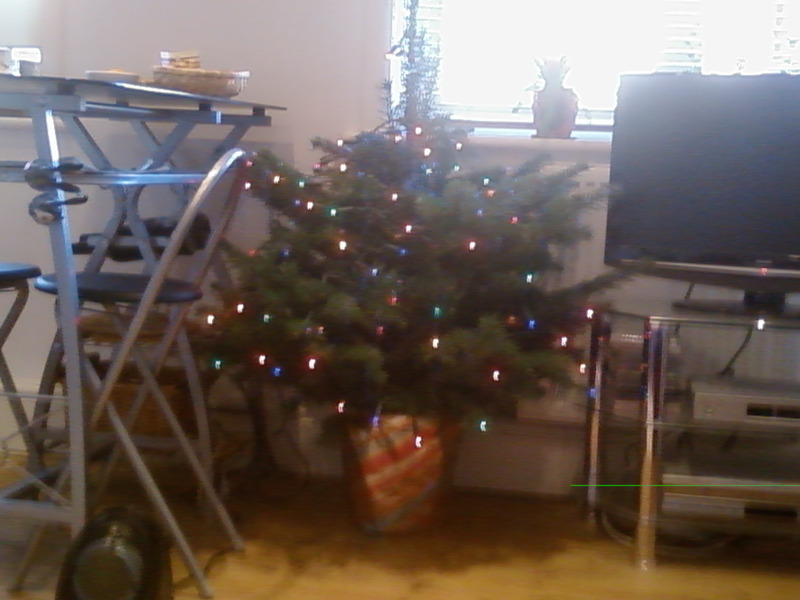 This is the first real tree I’ve ever had of my own, so I think I must definitely be grown up now. It’s decorated with coloured lights and blue lametta and there isn’t really space for it in the front room, but I love it all the same.